As the week is rolling by I am starting to panic. I haven’t done my post because I wanted to thank all those people who commented on my blog, read all their blogs and get down their details to share with others. All the jobs I have put off for a month are crying out to be attended to and suddenly I have no time. 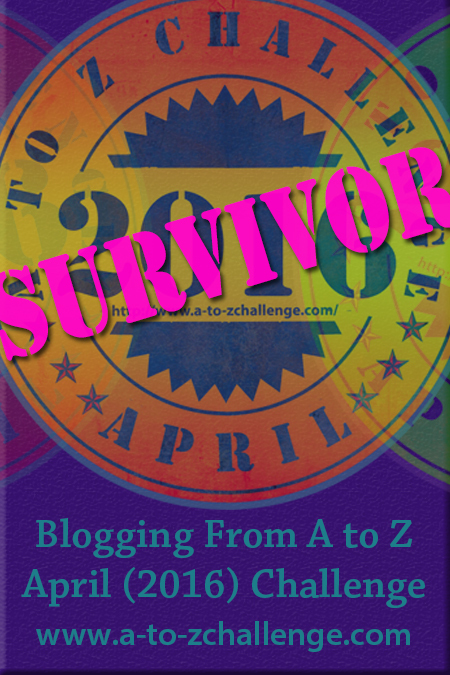 The original plan was to use the A to Z as a motivation to write. The purpose of the writing was to make a record for my family of my DNA discovery with as much detail as possible. I didn’t dream that so many people would follow my posts and comment on them. It encouraged me enormously so thank you one and all. I tried to comment in return and read all your blogs but ran out of time. My posts were semi prepared at the beginning of April but still required a lot of last minute changes and additions. In the middle of April we went on a road trip with our caravan for ten days which didn’t help. My task now is to put the 26 posts into a book. I am using Photobookclub for this. I have had a number of photo albums made through them and thought that I could get five copies made for family and new relatives. All the names have to be changed back to the real ones and now I am putting in photos of the people who had to remain anonymous. My biggest problem is my mind is continually planning A to Zs. One minute I am thinking “Travels in our Caravan” with A for Abrolhos Islands, B for Bourke, C for Carnarvon Gorge. Then, inspired by “Retirement Reflections” I am thinking A for Aqua Jogging, B for Book Club, C for Cycling. 1) Have all posts written before April. 2) Reply to all comments on my blog. 3) Comment on as many other people’s blogs as possible. 4) Mention all the blogs I enjoyed in “Reflection 2019”. This year all I managed to achieve ahead of April was who I was going to write about, ie I had my alphabet sorted which was a great relief even though I changed my mind during the month at least I had a subject for every letter but X more or less. I am glad your family will get to have permanent souvenirs of your history. I wanted to thank you for your comments and help but there were so many others I just gave up. I’ll try harder next year. Reciprocal visiting and commenting is much appreciated. No further thanks necessary as far as I am concerned. Don’t worry about posting everybody. I sort of wished I hadn’t because I left off some. I really enjoyed your journey and I’m sure your book will be treasured. Hi, Linda – I greatly enjoyed your ancestry story and am so glad that you decided to share it with us. 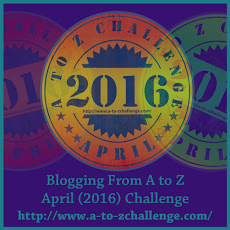 Thank you for mention – I am glad that you found my A – Z’s inspiring. That is very encouraging to know. I look forward to following your posts further. I really enjoyed following your story, even though I only caught it towards the end. I think your book would be a delightful family keepsake. My husband wrote a blog, Vodka Nd Vegemite when we travelled through Russia on the Trans Siberian. I turned it into a book later, and it was an enormous job as the WordPress layout does not just “cut and paste”. I printed it at Office Works. Good luck with it. I enjoyed reading it. 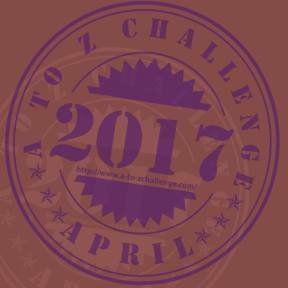 It was nice coming across your blog, through the #AtoZchallenge. A book is going to be a true treasure to your loved ones! They are so fortunate and I sincerely hope they appreciate all the heart you’ve put into it. Bless your heart for being so worried about all of us. 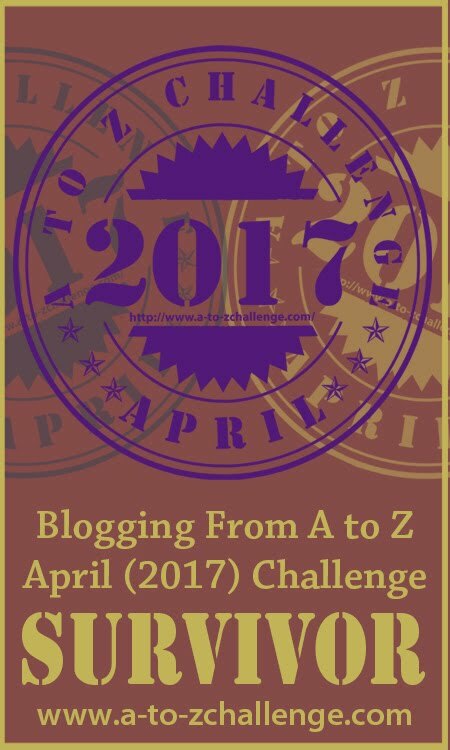 The A to Z is an experience in my opinion and you’ve made yours very memorable. I’ll be visiting this year so see you soon!